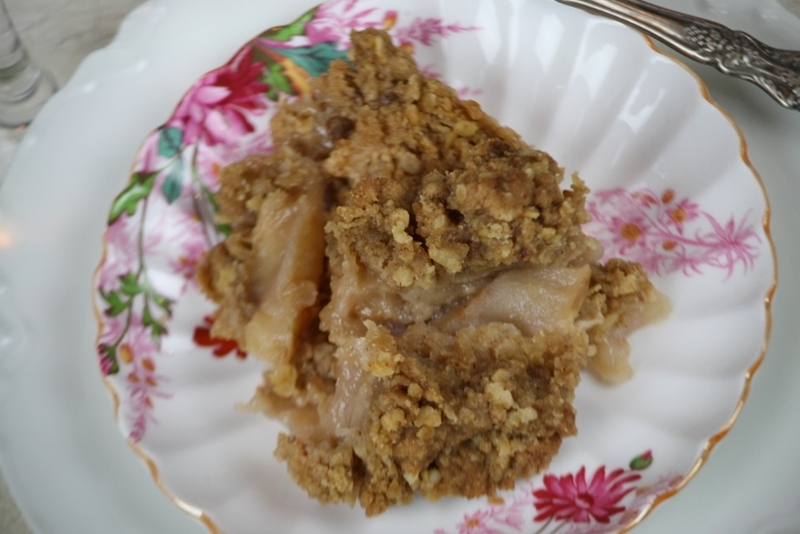 Pairings From Our Table | Cape May Antiques Inc.
Pairing our delicious recipes with our vintage goods. 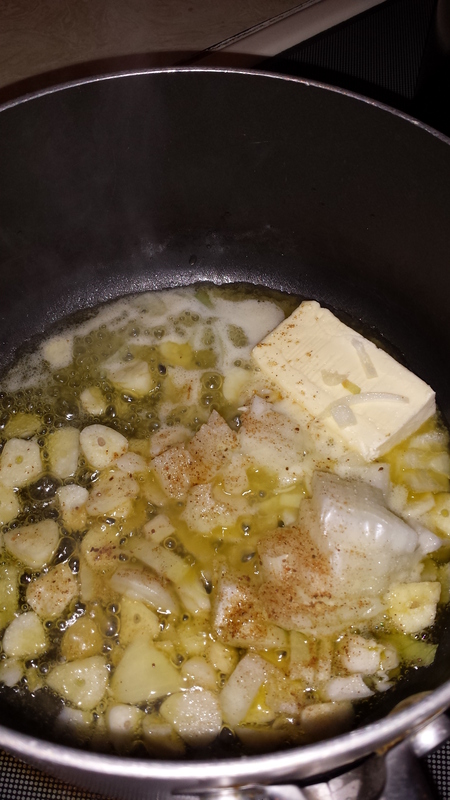 When I’m hungry in the morning, I don’t want to wait for the potatoes to cook….45 minutes or so! No way. I cheat. I microwave about 4 to 5 potatoes for about 10 minutes making sure to poke a few holes in each potato so they don’t burst! Once I have them set in the microwave I cook the bacon. After all of these years of cleaning splatter on my stove and yes, sometimes burning my bacon, I figured out what I was doing wrong! Too high of heat. I switched to low, low heat and longer cooking time. I mean on my stove I have 1 to 10 as cooking options with 10 being the hottest. I cooked these on 2. It took as long as the potatoes were in the microwave so it was perfect. Plus no splattering of grease on my cook top! This lazy hungry girl was really happy in about 20 minutes total time! Add salt, pepper, parsley to season and your ready for a good, solid breakfast! Enjoy! ps: Sorry about the onions Bill…..you know I would leave these out if I was cooking for you! (Bill is my dear brother in law who HATES onions!). Dressed with olive oil, Bratt’s vinegar, salt and pepper to taste. See the pretty roses peaking out from under the layered salad! Easy, healthy, pretty! French Limoges Formalizes Chicken Salad! So you want to formalize and pretty up your typical chicken salad! You can by using this recipe and plating with some vintage or antique French Limoges pretty floral bordered lunch size plates! It’s the perfect pairing! So simple, just combine and plate! We garnished with fresh grapes and a sprig of celery greens! 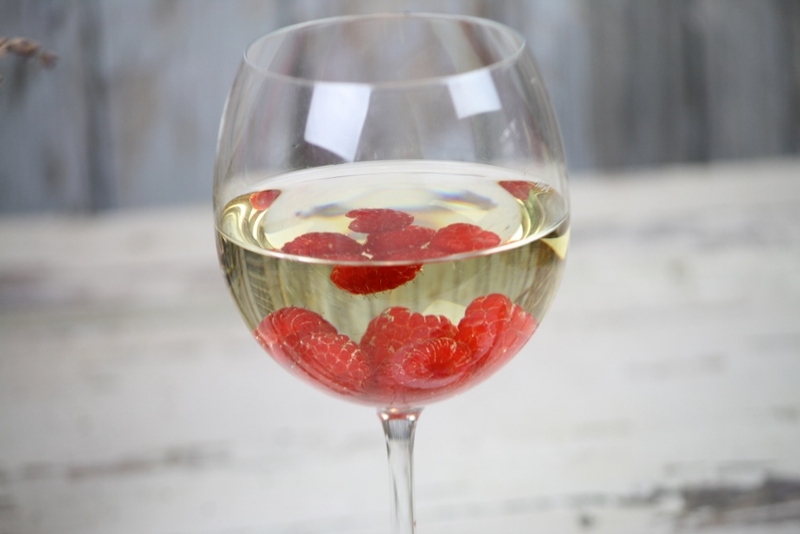 So as I always say, treat yourself to a pretty pairing! We added a vintage fork and vintage linen napkins to make it even prettier! Enjoy! 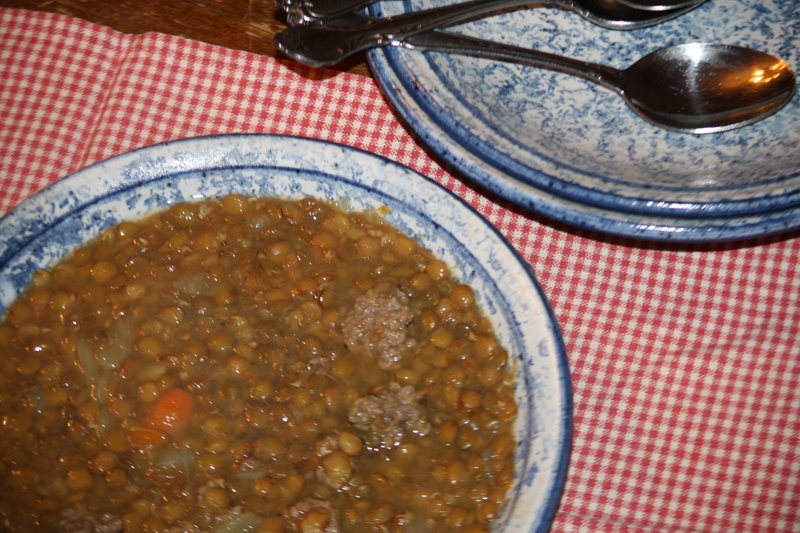 Lentil Soup from Country to Shabby! 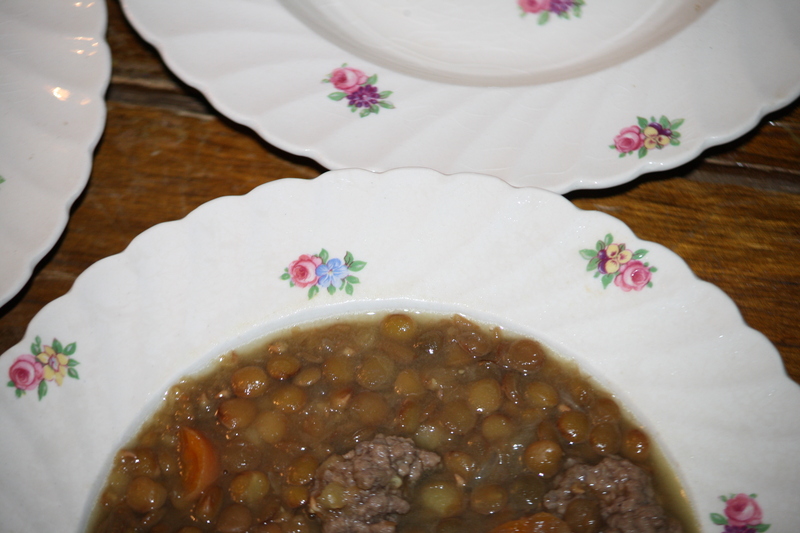 I made home made lentil soup and thought it would be fun to show you both Country serving bowls and shabby chic serving bowls! Either way it’s yummy and either way its pretty! Above are flat stoneware blue and white splatterware pottery bowls…. (they were just shipped out to their new home in TX yesterday!) Yee ha! So, rinse your lentil beans thoroughly. The challenge is to find a colander that doesn’t have too big of holes so your lentils don’t go down the drain! lol! 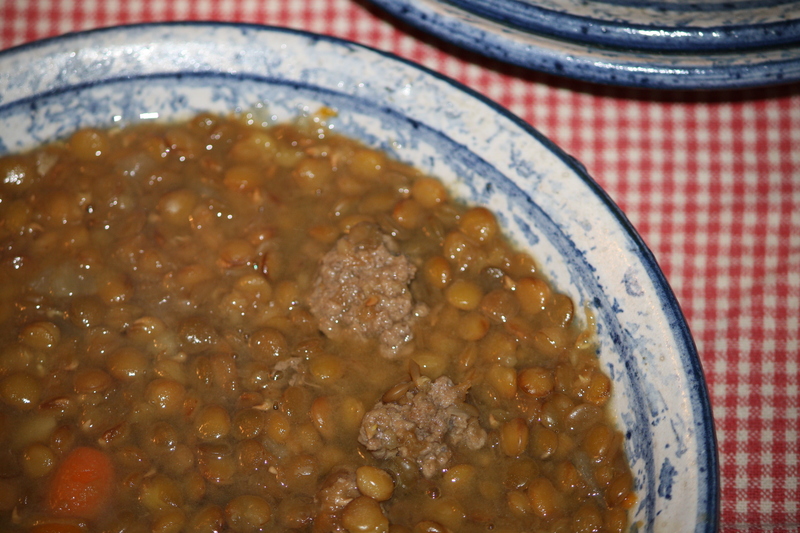 Begin by using a large soup or stock pot. Sweat the onions and garlic so they are slightly soft over medium heat. 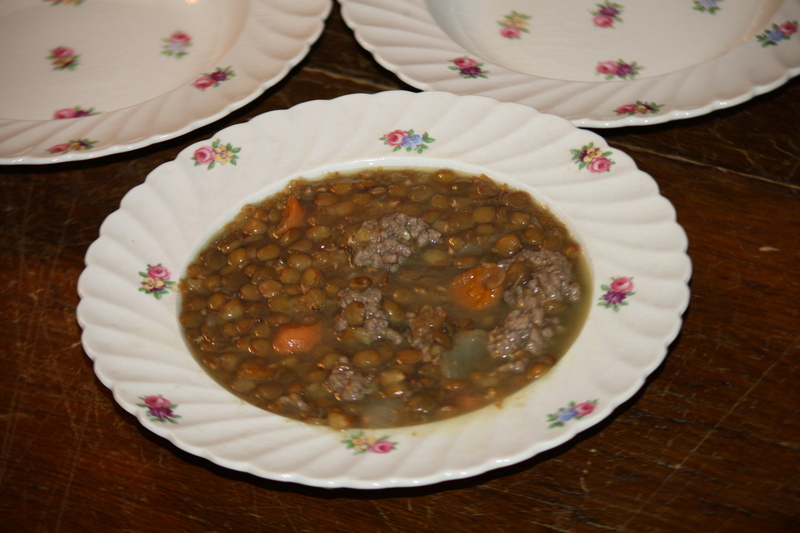 Once they are cooked, add your drained lentils and stir. I let them warm a bit with the onions and then I add my chicken stock, water and carrots. Stir all together and raise heat to a good simmer. Next you will tear off small sections of the ground meat, smaller than a meatball and no need to roll or combine with other ingredients. If you make the pulled meat sections small enough they cook quickly and stay nice and tender. You will want to simmer this for at least a half an hour. Add your salt and pepper too when you add your meat. Taste test in about a half an hour for seasoning. Continue to simmer until the meat is cooked through for sure, but usually 1/2 hour does it. See the portions of meat, the size in relation to the carrots, they should be about the same size. Pretty vintage red gingham place mat and napkin set! On to the shabby chic serving in pretty wide rim fluted soup bowls with dainty pink flowers! I love how the colors are offset between the light porcelain bowl and darker soup! 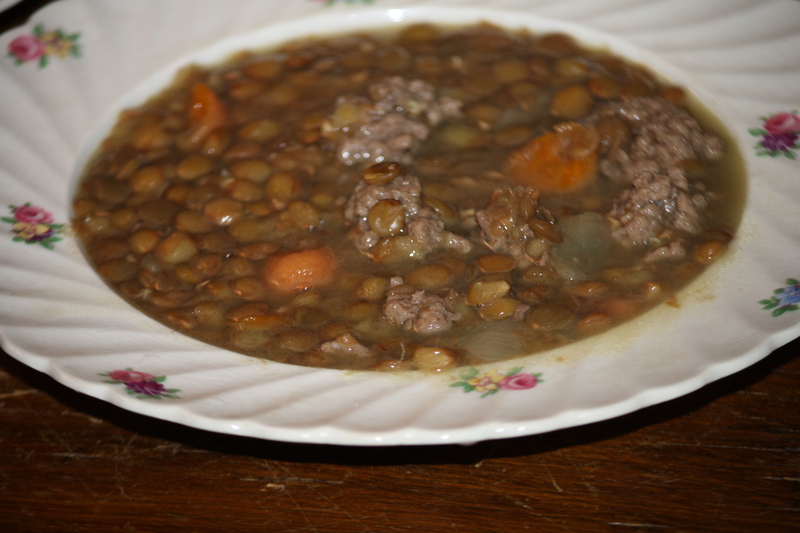 Yummy chunks of meat, carrots, and those amazing lentil beans packed with protein, fiber and low calories! Pretty and yummy! Caponata is the epitome of all good Italian tastes in my opinion! It’s great as an appetizer, as a small meal with crackers and some fruit and nuts on the side too! First you saute the eggplant with about 2 to 3 tablespoons of the olive oil, cook for about 10 minutes and add the onion and garlic the last 5 minutes. Add 2 to 3 more tablespoons of the olive oil if it seems dried out at all. (If you want to make sure your eggplant is not bitter, before you saute it, cut in large rounds, layer with regular table salt sprinkled generously between layers and set in colander with heavy can or pot on top of it. Let it sit for up to an hour, rinse well and dice as you are now ready to saute. Bitter eggplant bothers some folks but I typically don’t mind the taste of it). Now that your done cooking the only ingredients that need to be cooked, set them aside to cool. Once cooled, add in the remaining ingredients, sugar, red wine vinegar, pepper, capers, green olives and pine nuts. Stir it all together, give it a taste, add salt if needed. You can store this in a lovely mason jar or air tight container. It gets better the longer it sits. We plated ours in lovely vintage German ramekins. 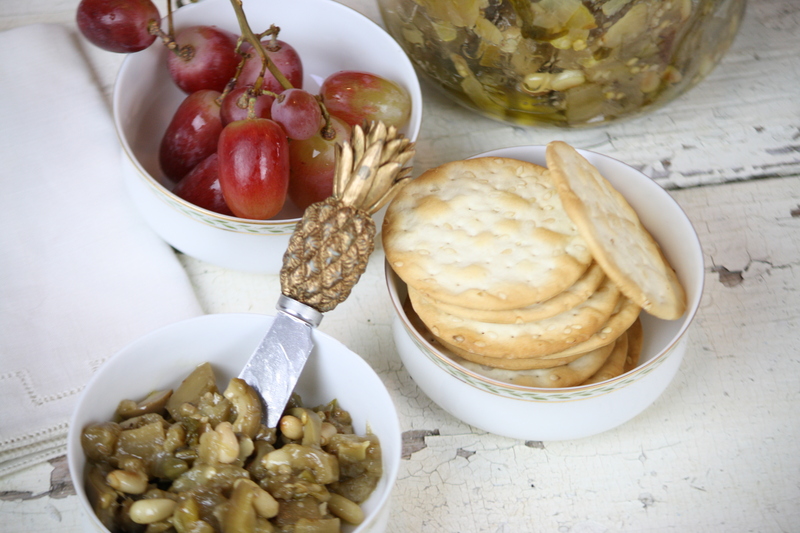 As mentioned above, you can serve with other light finger foods such as grapes, nuts etc. 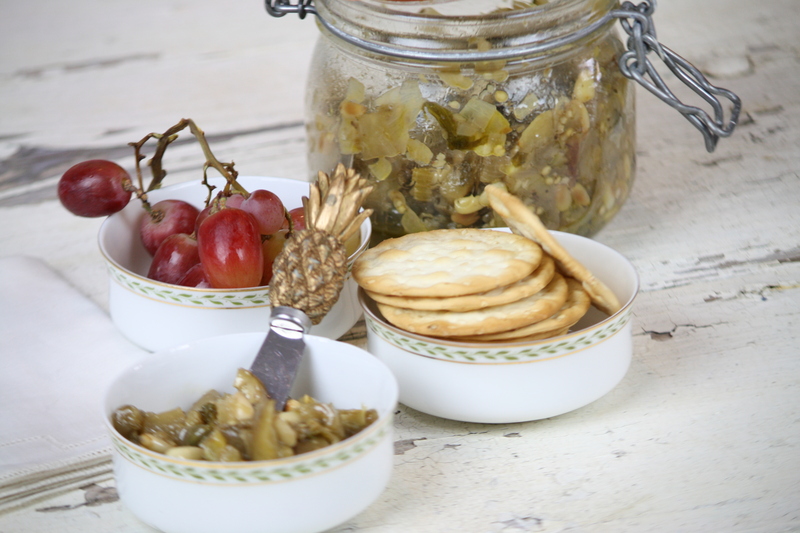 Best served with nice large crackers to hold the weighty Caponata spread. 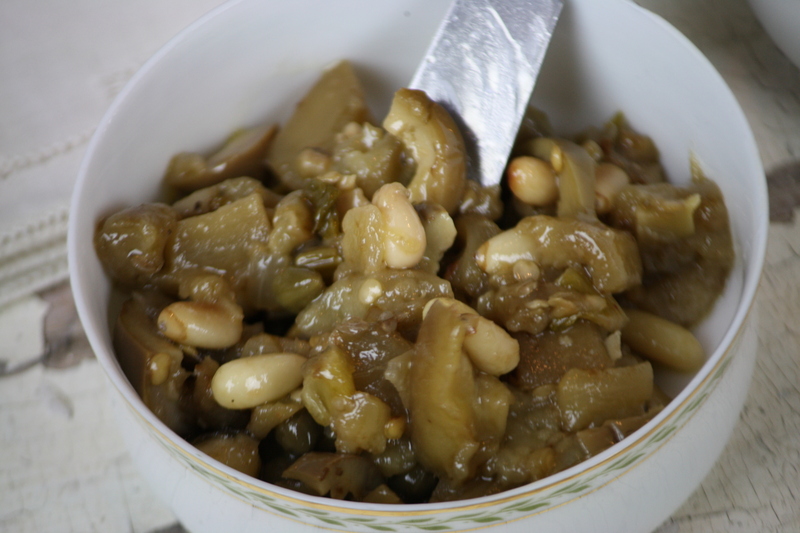 This is a great dish to make if you are eating for one, have an eggplant to use up or if you don’t feel like a large meal….great for lunch too! Lovely flavors of Italy combined in a tasty spread! Yummy! This is the easiest, quick pasta meal with the most amazing flavor featuring crab meat! 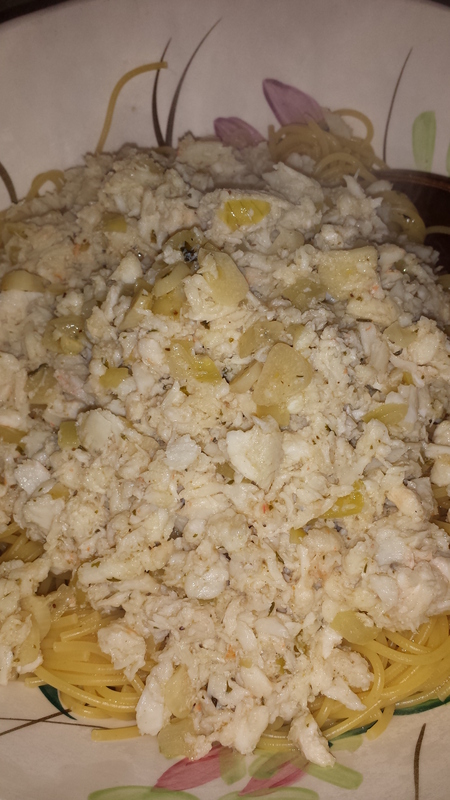 It’s one of my Mom’s recipes and she is just crazy about crab meat so we made it together last night! You start by sauteing 6 cloves of garlic, thinly sliced in olive oil (about 2 tablespoons), then add 1/2 of a thinly diced onion, add 1/2 stick of butter, a sprinkler of old bay seasoning, salt and pepper. Simmer until the garlic and onion are slightly translucent. 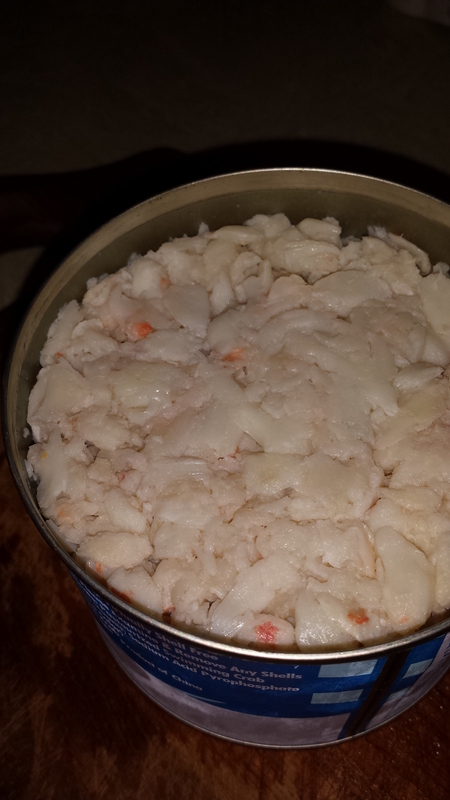 Open up your large can of crab meat, you can get chunk for a very reasonable price when it’s on sale. I will typically buy 2 and freeze one for another meal. 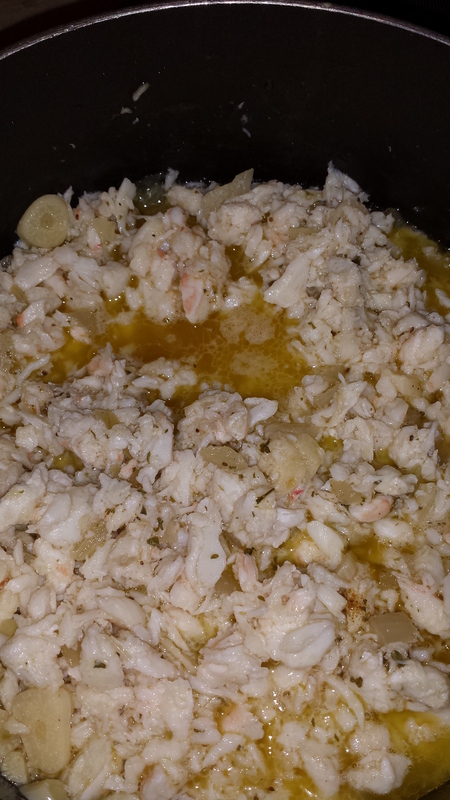 Once your butter is melted, go ahead and add all of the crab to your sauted mixture of onion, garlic, butter and olive oil. You can add your pasta to your boiling pot of water that you have salted with a nice big tablespoon or palm full of salt. 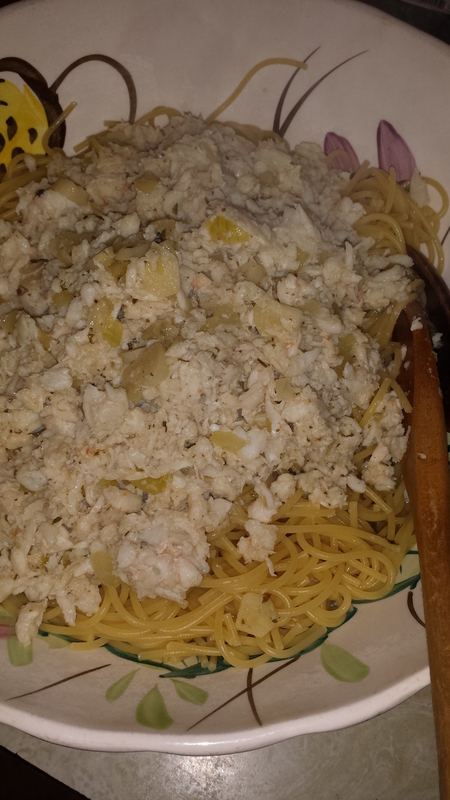 We like to use thin spaghetti’s for this recipe with crab so the crab pieces are visible and maintain their shape. 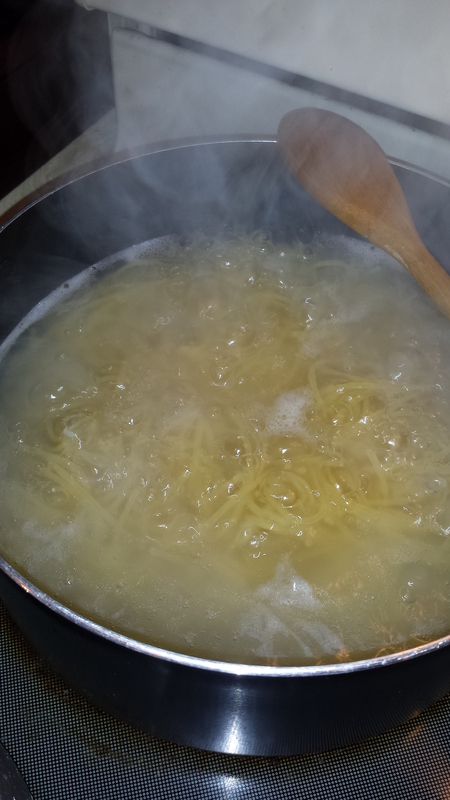 Water is boiling so add the pasta and stir. I like to cook min on a medium to high heat because I have no patience. My Mom and I totally disagree on the pasta doneness…I like it Al Dente and she likes it, well, mooshy! We compromise and I usually take mine out early and leave her portion to cook longer. Your crab meat basically just needs to be heated through and that will happen pretty quickly with the melted butter, olive oil and onion/garlic mixture. I actually spoon in 2 ladles of starchy pasta water to give the crab mixture some consistency for easy tossing. We always add extra drizzles of olive oil at the end too! We used one of Mom’s old Sunday Dinner pasta bowls, vintage Italian ceramic with wooden spoons for service. Enjoy! It’s that time of year to enjoy apples but still reap the fruits of the summer season! 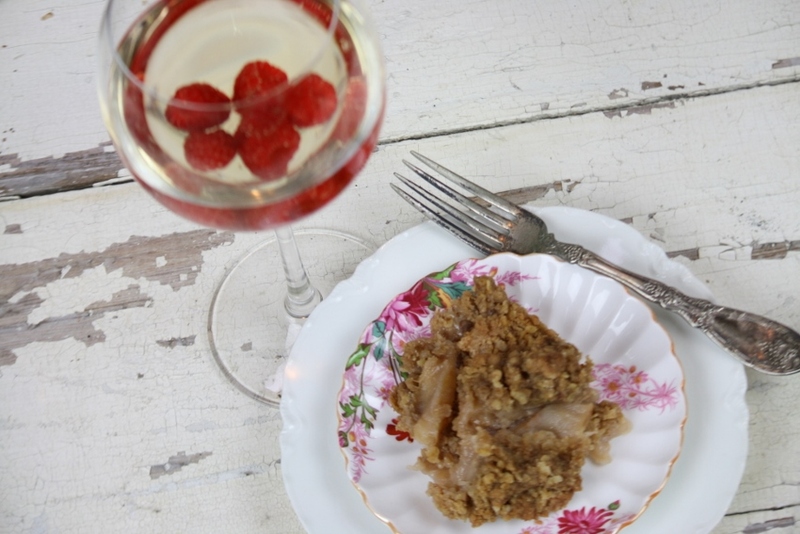 I’ve combined the 2 by creating an Apple Crisp and pairing it with a white wine accented with fresh raspberries! 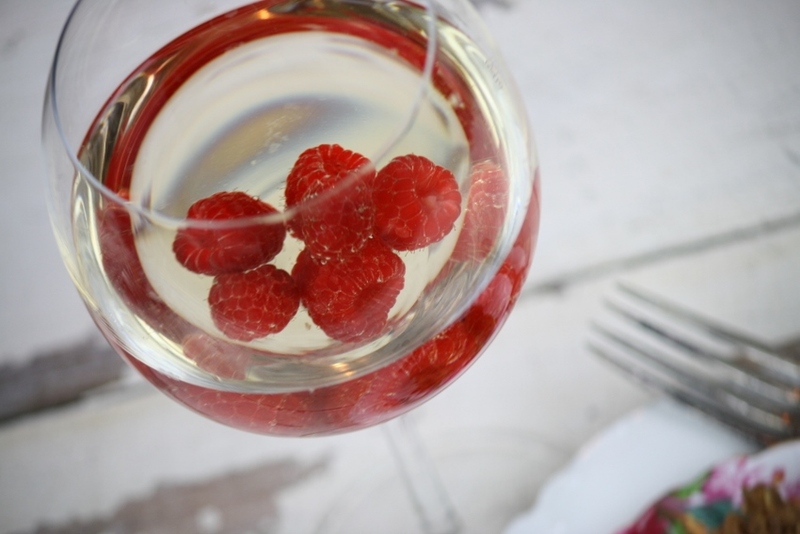 I used a white wine and tossed in a handful of these beautifully colored fresh raspberries! Now to the apple crisp! Toss all together and set in a large casserole. I like mine spread out in a large casserole so I can distribute the crisp over a larger area. Next comes the topping that is sprinkled on top of the apple mixture. You need 1 cup of flour, 1/2 cup of oats, 1/2 cup brown sugar, 1 teaspoon of ground cinnamon, 1/4 teaspoon of salt and 1 stick of butter cut into small pieces. Mix all together, I used a fork so I could cut into the butter. Once well mixed, sprinkle even over the apples already prepped and sitting in casserole dish. Bake for 45 minutes in a 350 degree oven. 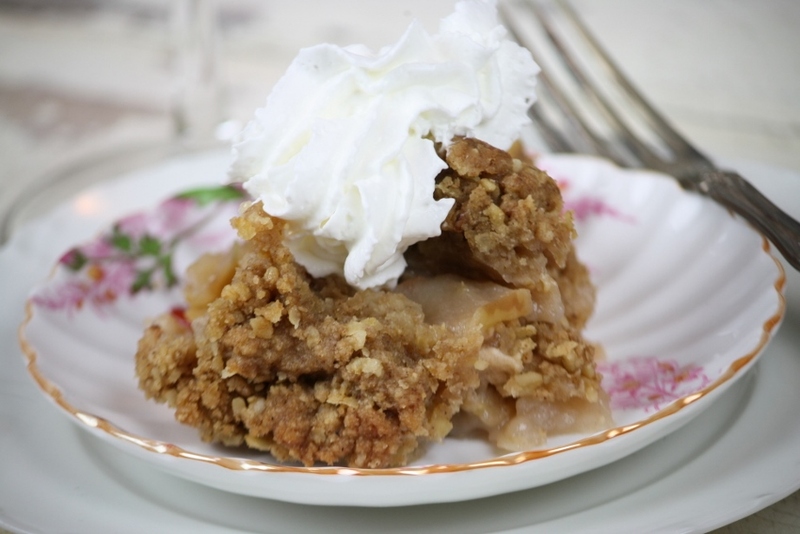 Whip cream optional, but a good option! 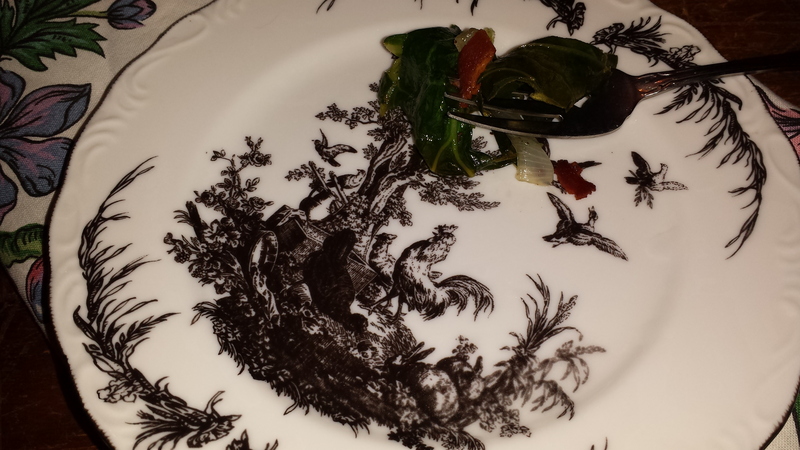 Served on a Spode small dessert dish in the Chelsea Garden pattern. The colors look so pretty with raspberries! Enjoy! Worked a wee bit late last night and didn’t plan for dinner. Opened the fridge and found some leftover collard greens, kale and hard boiled eggs along with a package of bacon. Decided to go somewhat healthy! Besides the bacon. 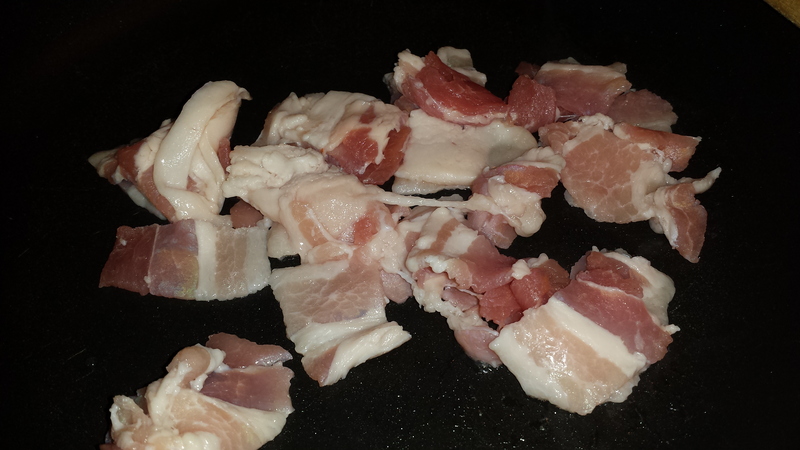 I diced 4 pieces of bacon and sauted over medium heat. Once they were cooked I removed the bacon but left the bacon fat. 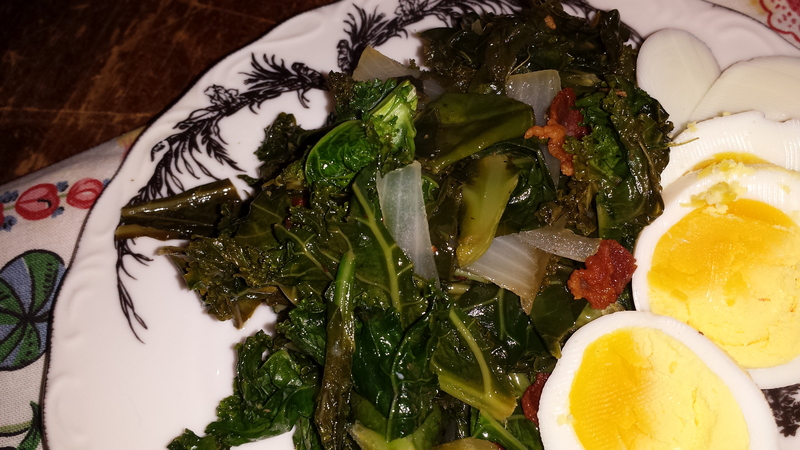 Then I added my greens and let them wilt down, kept adding more because they really do wilt down. 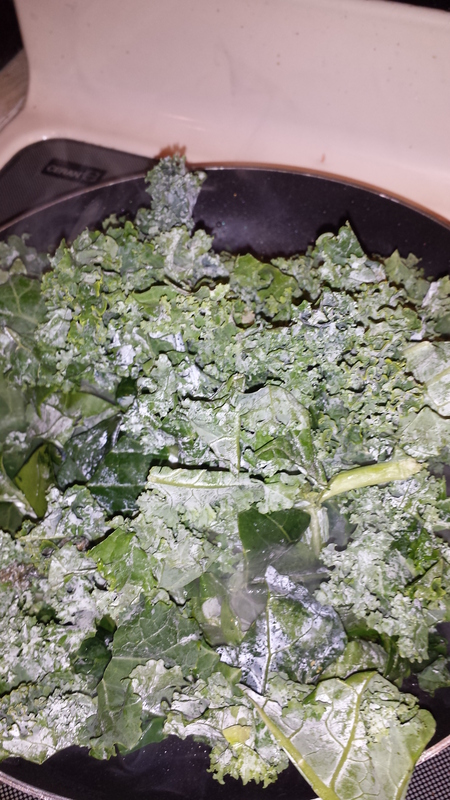 I used a 1/2 of a bag of kale and 1/4 of a bag of collard greens, all pre-cleaned and cut. I also added a 1/2 of on onion cut into half moons. 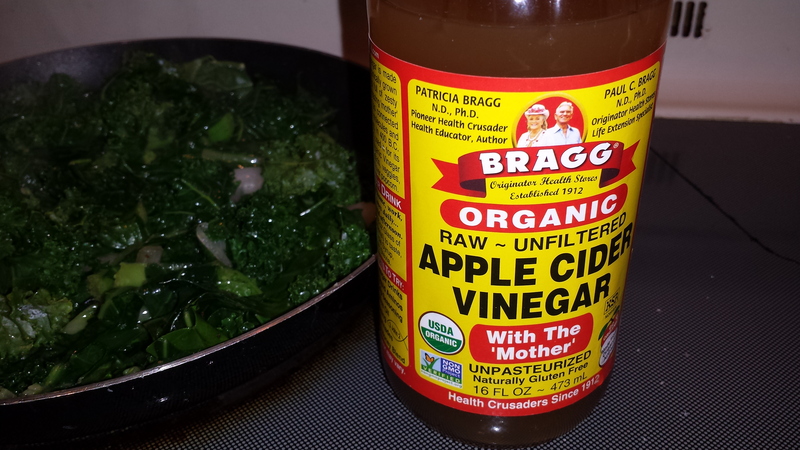 Secret ingredient, Bragg’s Organic Apple Cider Vinegar! 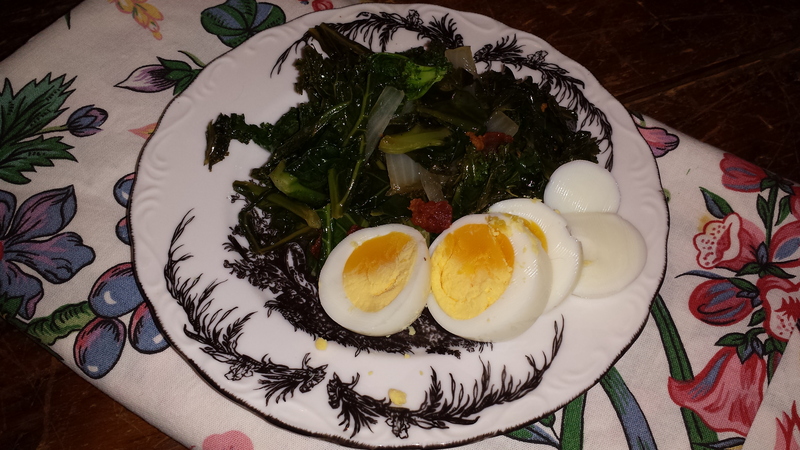 I poured about 1 tablespoon and perhaps a dash more to the sauteing greens! Dash of pepper and very little salt because bacon is pretty salty! This literally took less then 5 minutes to make! 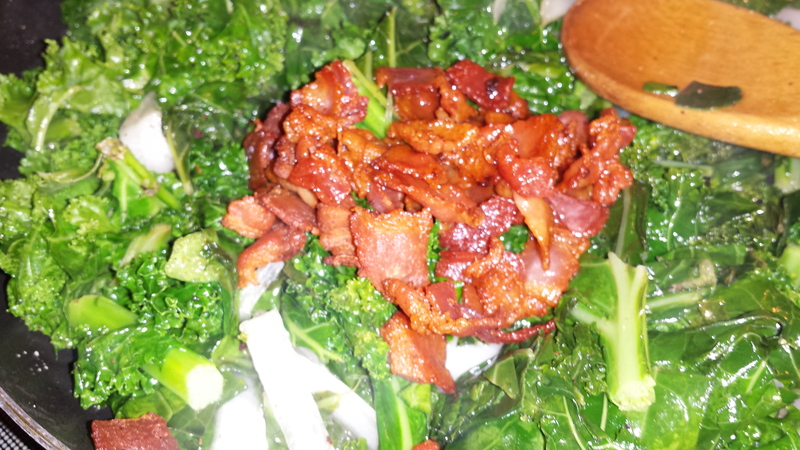 Once the greens were cooked down, I added the bacon back into the saute pan. Mixed it all together and I was ready to plate and add my sliced hard boiled egg. 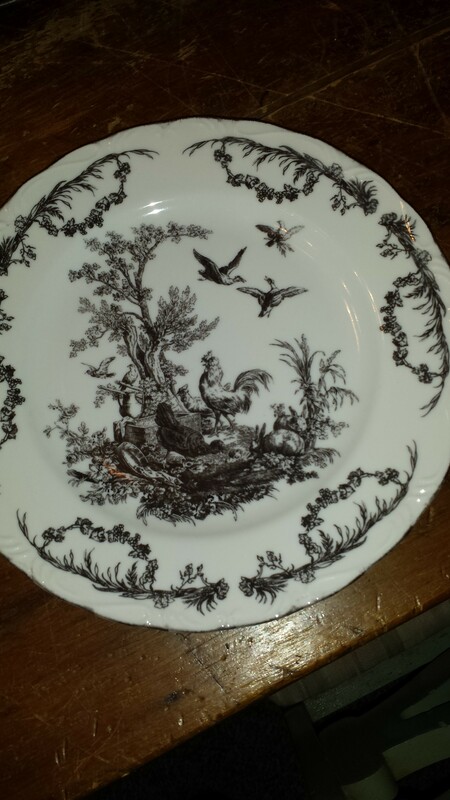 So French so I thought I would go French Toile plate style! Yummy~ so easy to make! 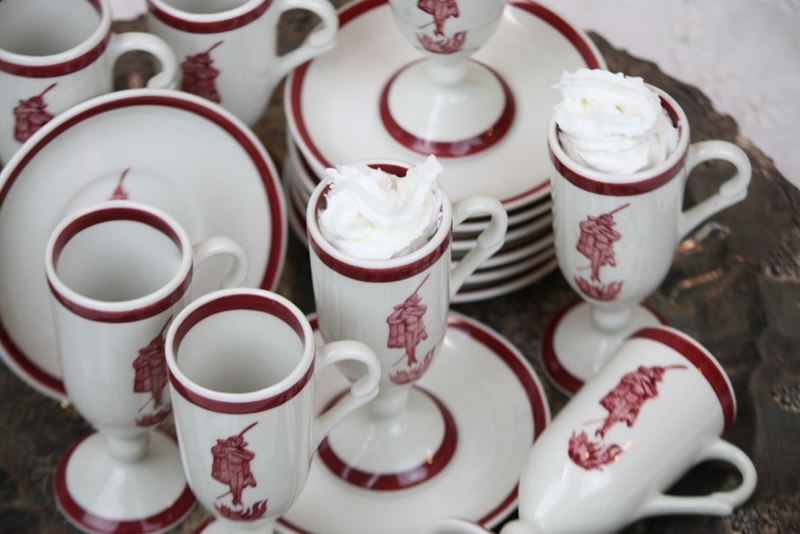 Irish Coffee Mugs and Saucers, New Orleans Style! 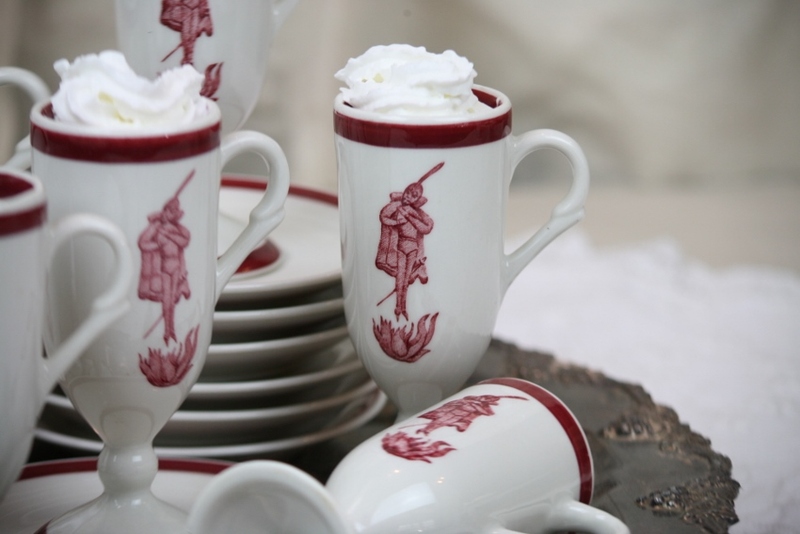 Serving Irish Coffee has never been so much fun! Bring out this fabulous set of 8 tall coffee mugs and saucers after dinner to create a great conversation and lots of oohs and ahhhs! So this is vintage Restaurant Ware. Simply meaning, yes, it was used in restaurants. This particular set is signed Loubat, New Orleans LA. Can’t you see this is an elegant French Quarter restaurant or coffee shop! 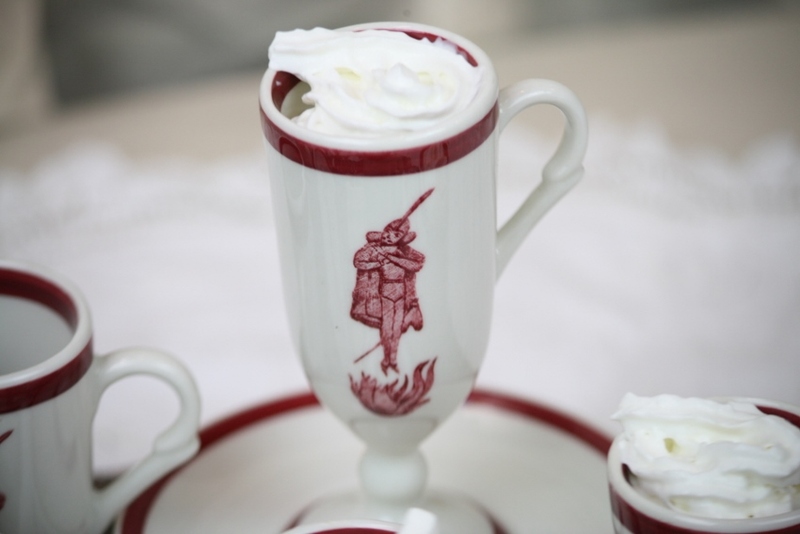 We couldn’t resist making our own brew and topping it off with whipped cream! 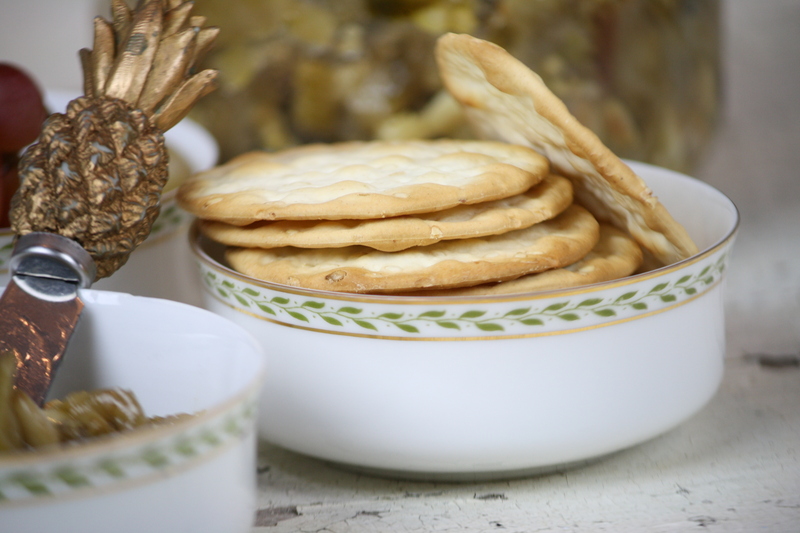 A nice biscotti or sugar cookie would fit perfectly on the saucer as well! Invite your friends, there are plenty of cups and saucers! 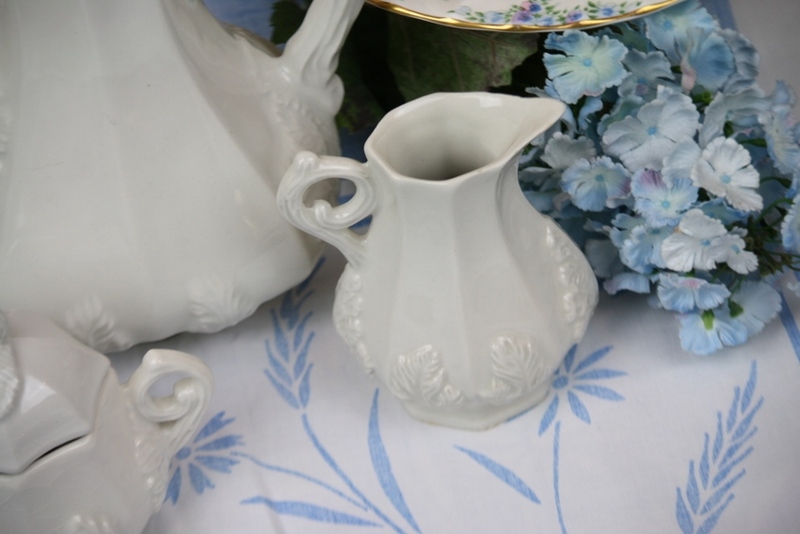 The prettiest vintage ironstone tea set! Set among blue hydrangeas stems and a vintage porcelain pedestal cake stand. Featuring cupcakes with creamy buttery icing! 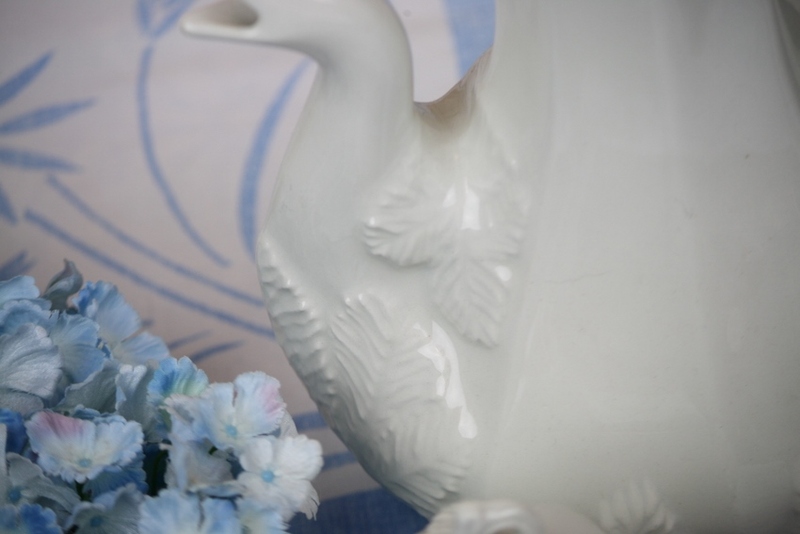 I was inspired by this lovely vintage blue and white corn flower tablecloth I found on my latest antiquing trip! Works perfectly with the white ironstone. 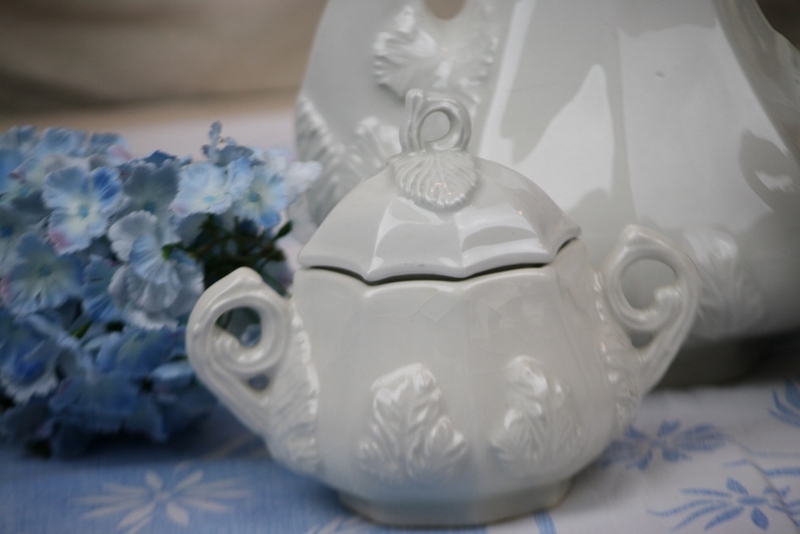 Hope you can see the detailing on the spout of the teapot featuring acanthus leaves! So English, so Traditional! Also found on bases of sugar and creamer. 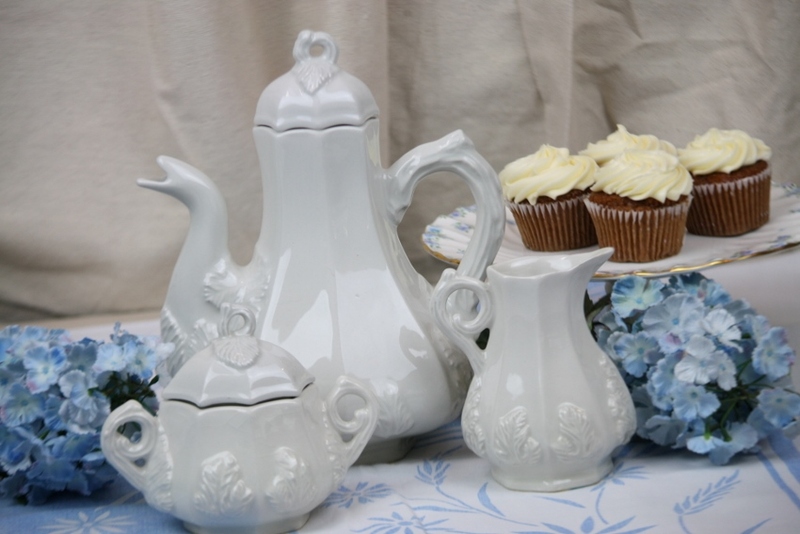 Lovely grouping for a tea party, dessert party or even a small wedding celebration! The perfect shade of white! Your invitation is in the mail…..